THT grew up in a healthy, farming family that, while enjoying many a home-grown vegetable, rarely had a meatless meal. (Not that there’s anything wrong with that! [Cue Jerry Seinfeld…]) And I’ll admit that in my family, meatless meals were rare while we were growing up. But as I started investigating this crazy thing called “cooking,” and the more I tried vegetarian dishes from all over the world, the more I came to like their healthy, hearty character. And my current mini-project? Turning THT into a fan of vegetarian meals. Which is where … Game On! comes in. THT and I are trying a slightly alternative eating plan for the next few weeks, as part of a health & wellness challenge (Game On!) at his job. (Easier to do with a partner, right?) The plan doesn’t differ much from how we normally eat, but we’re keeping up our veggie intake (yay!) while watching sweets & white four (sad face). Lean proteins, thankfully, are very much allowed … which is why I thought I’d give tofu the old college try. Image sourced from kalynskitchen.com. You should seriously try Kalyn’s stir-fry, too! Looks amazing. Serves 4 — easily doubled or halved. Note: For a refresher on how to press tofu overnight, check these instructions on my previous “tofu scramble” post. 2 cups assorted chopped veggies: I use carrots, onions, celery, broccoli florets, spinach leaves, and even cherry tomatoes. Why not? Cut the tofu into 1-inch cubes and place in a medium mixing bowl. In a separate bowl, combine the marinade ingredients and mix thoroughly. Pour marinade over tofu and mix thoroughly. Marinate for at least 30 minutes and up to overnight. When you’re ready to cook, heat 1 tsp olive oil in a wok, stir-fry pan or saute pan over medium heat. 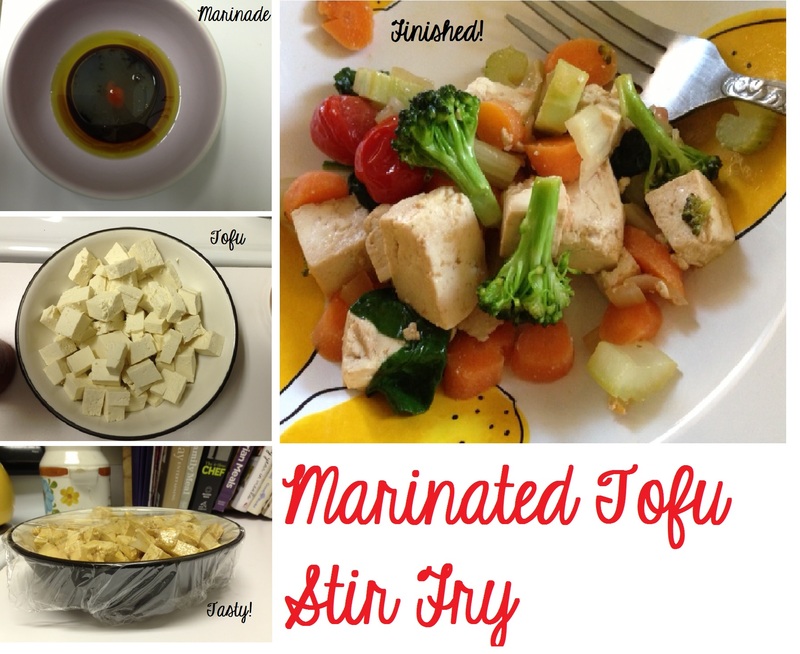 Stir-fry tofu for 5-7 minutes, or until slightly browned and warmed through. Set aside in a covered bowl. Return pan to the stove, reheating to medium heat. Add an additional tsp of olive oil and stir-fry veggies, stirring frequently, for 5-10 minutes or until done to your liking. Add tofu back to the pan, mixing and drizzling an additional tsp of teriyaki sauce. Sprinkle sesame seeds and an extra drizzle of lime juice over the pan. Serve with brown rice, quinoa, rice noodles, or plain / over a salad. Enjoy! Ever rocked the tofutti tofu, my friends? What are your thoughts on this soy-riffic source of protein? Favorite recipes with extra-firm, firm or even silken tofu? (I hear it makes a killer salad dressing.) If even THT can finish his portion (while politely requesting an alternative next time), you can, too! I’ve always been a bit skeptical about tofu, but I know it’s so good for you that I feel like I should give it another try — will have to test this recipe out! 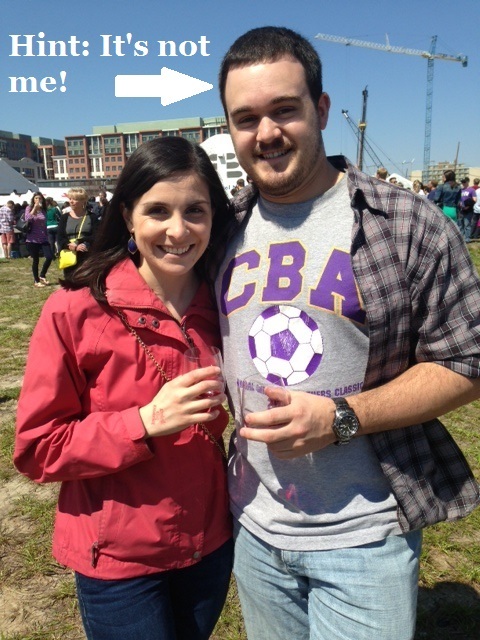 Love your blog, by the way — I nominated it for a Liebster Award! Thank you SO MUCH! (So good to hear you’re trying tofu, too. I think it’s so great!) You’re so sweet! Thank you so much! Sorry for the delay in responding, but I’m so happy you found my blog and enjoyed the recipe!